By Brian J. Rogal, GlobeSt. CHICAGO—2017 and 2018 both saw some blockbuster deals that converted Chicago-area condo buildings back into rental units. The moves represented a significant reversal of what happened during the last residential real estate boom, when developers and owners across the metro area converted thousands of apartments into condo units. And how long this will continue is one of the big question marks hovering over the region’s hot multifamily market. Chicago-based Kiser Group, a multifamily brokerage firm, has handled a number of both condo conversions and deconversions over the years. The company looked at its own historical data to see how many of each year’s sales were condo conversions as well as deconversions out of the total multifamily sales. 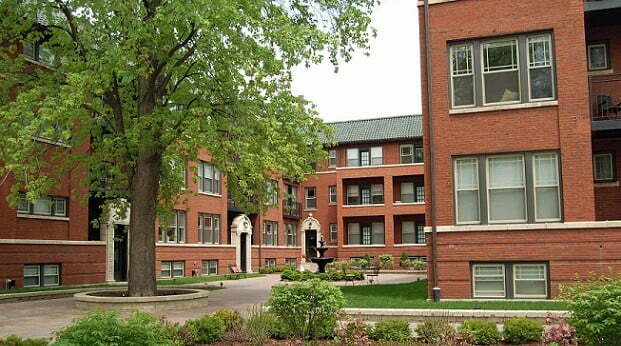 From 1997 until 2007, condominium conversions were a very meaningful part of Kiser’s business. In 2004, conversions represented exactly half of that year’s closings. And that helps explain why deconversions may be around for a long time. Over the past 24 months, ending July 15, there were more than 20 so-called “deconversions” announced in Chicago, according to a report from Avison Young. Kiser Group is currently brokering deconversions for buildings that have between six and 250 units. Its latest is Dover Court Condominiums, a $13 million listing. Located in Chicago’s Uptown neighborhood at 4601 N. Dover St., the S-shaped courtyard building consists of 48 one-bedroom units, 12 two-bedroom units, 3 three-bedroom units and one studio. Friedman and Rick Ofman were retained by the Dover Court Condominium association. “For multifamily investors looking for properties in Uptown, this is a rare opportunity to acquire 64 units that can be converted into apartments,” says Ofman.